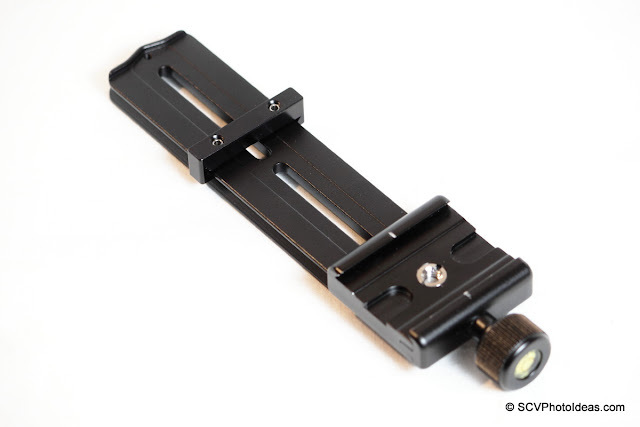 Multifunction Nodal / Macro Rail that would be Arca-Swiss® compatible. 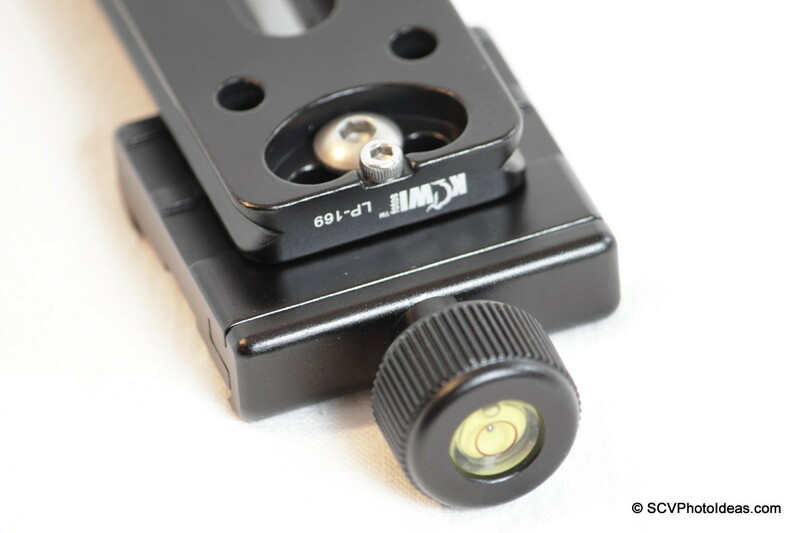 Complemented by a 5 cm (1.97") Arca-Swiss® compatible Quick Release Clamp with short screw knob. After an extensive search on the net, I found some parts that fulfilled all the prerequisites for building up exactly what I had in mind. 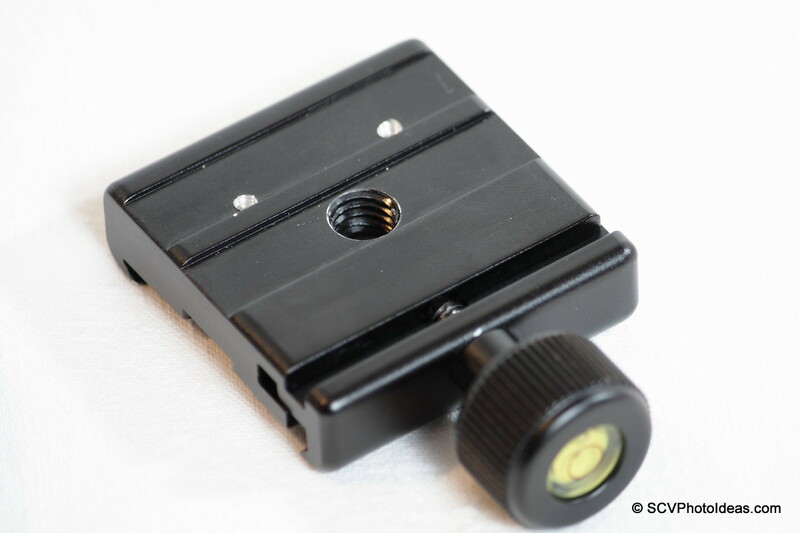 Top view of the Kiwi Fotos LP-169 lens plate showing clearly the anti-slide ridge on one side and one groove and 3 holes on the other side for the attachment of Accessories. 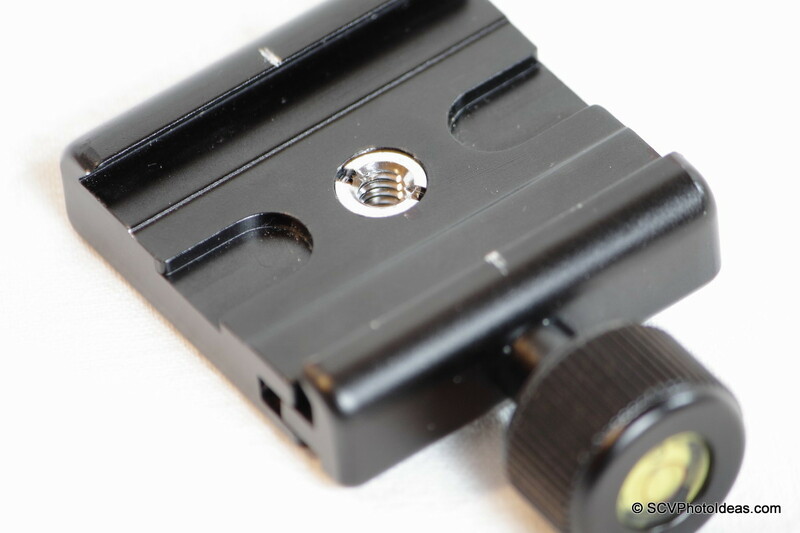 Bottom view showing the M3 stop screws, the captive slots and two extra M3 tapped holes which function for securing accessories. Relocation of 1/4"-20 captive screw. 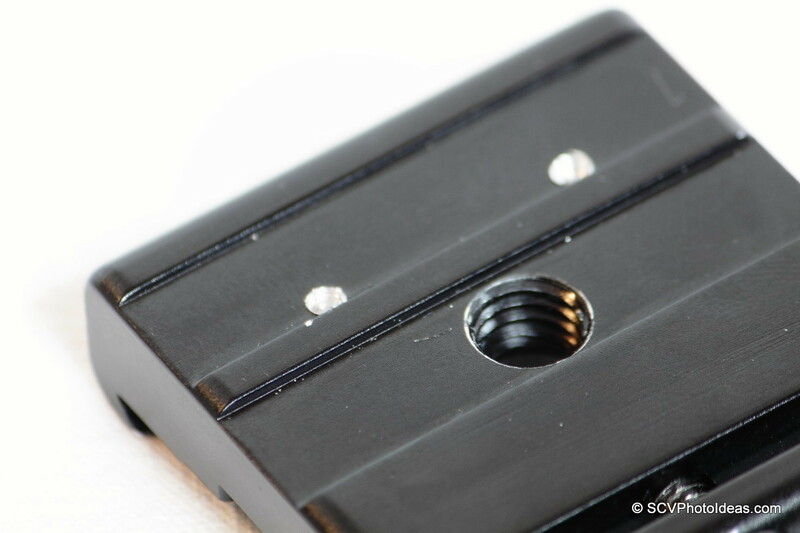 Also shown is the M3 stop screw and the two extra M3 tapped holes. 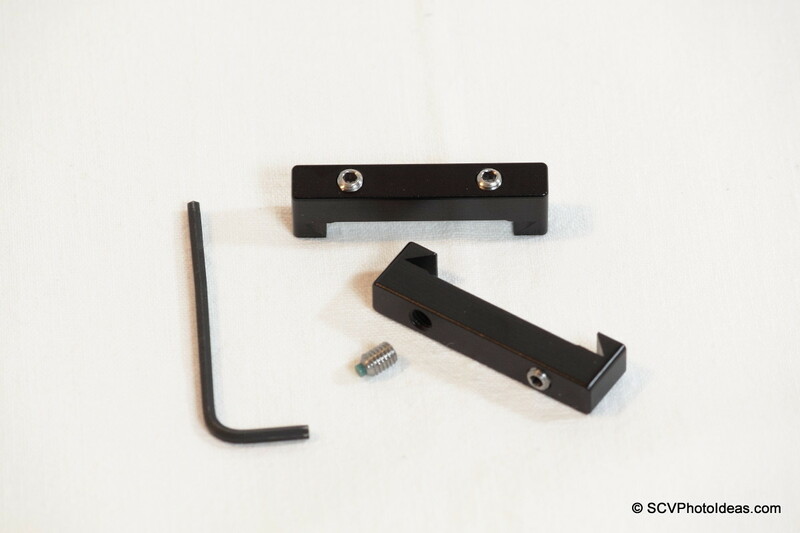 ...which will fit in the appropriate M3 tapped holes in order to secure the clamp on top and avoid twisting. 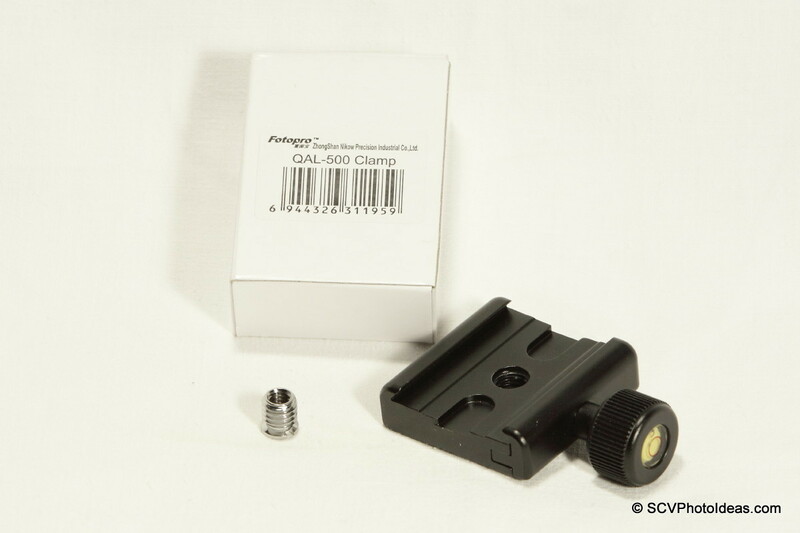 Fotopro QAL-500 Arca-Swiss® Compatible 5 cm Quick Release clamp with 3/8-16 mounting tapped hole and short screw button with bubble level. 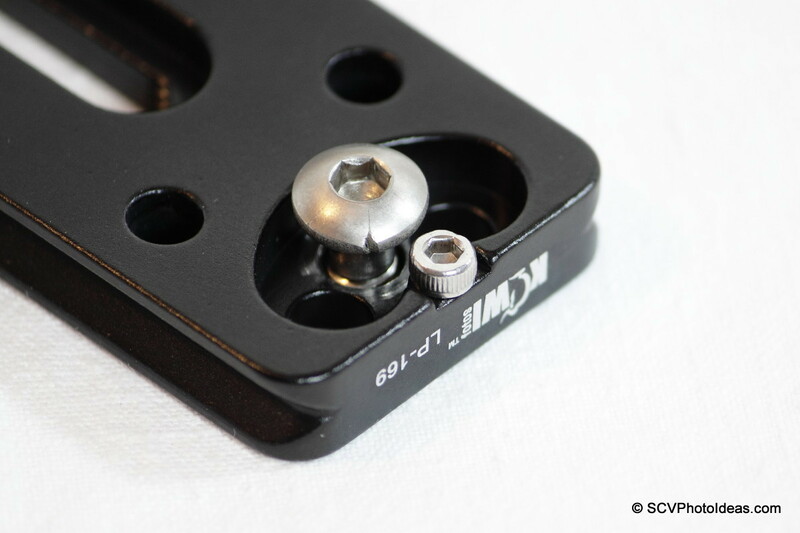 Quick Release plate and a 10mm long thread converter from 1/4"-20 to 3/8"-16. 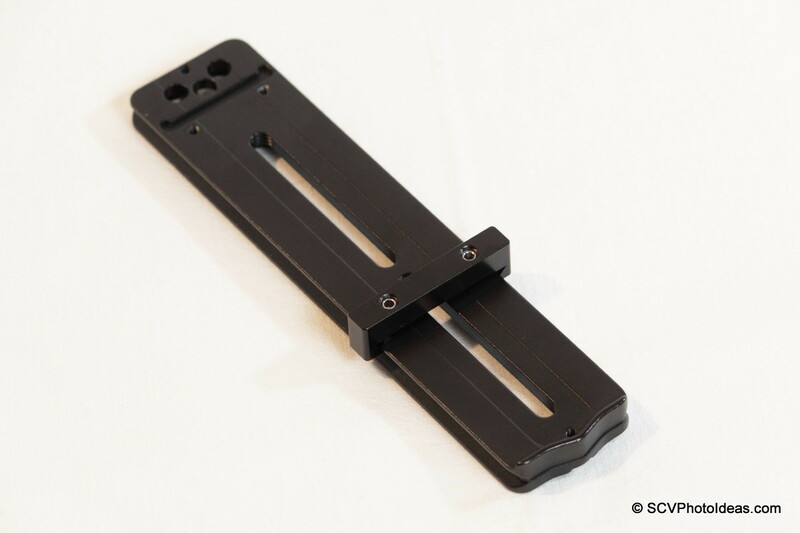 Bottom view with two additional guide holes for M3 screws. 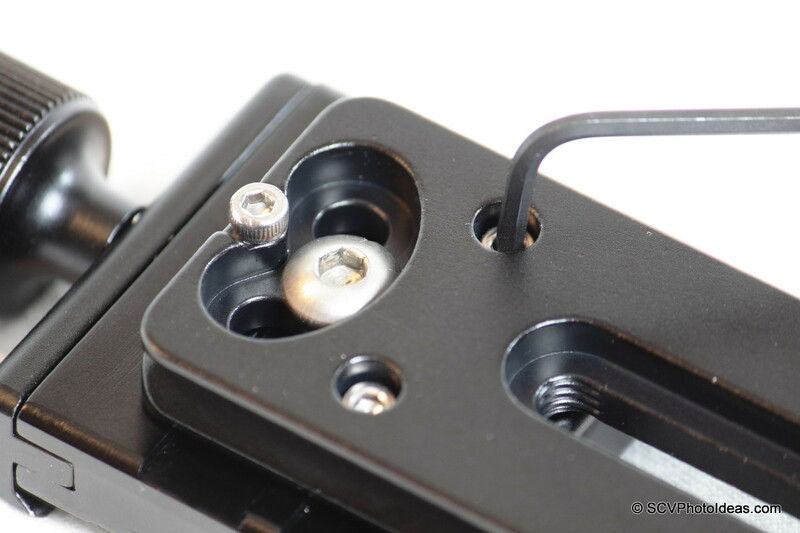 For better fastening on the rail and avoid twisting under load, I drilled 2 x M3 tapped holes. 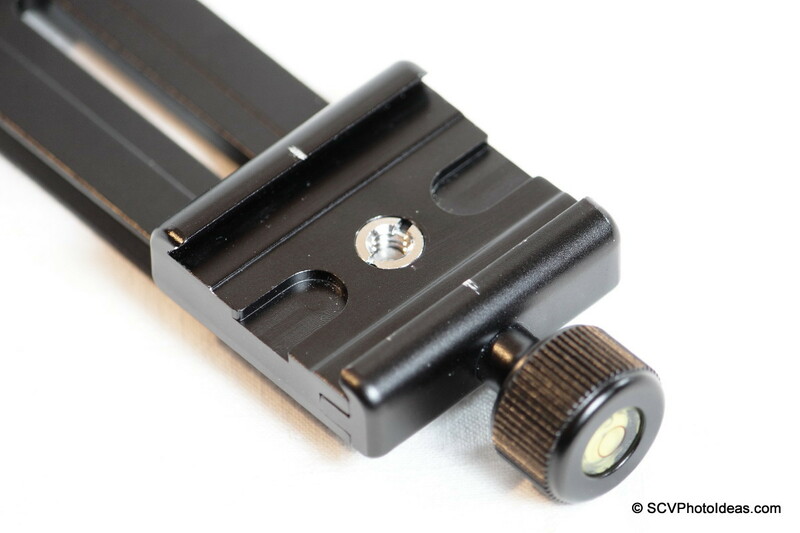 ... until it is flash with the clamp top and secured in place. 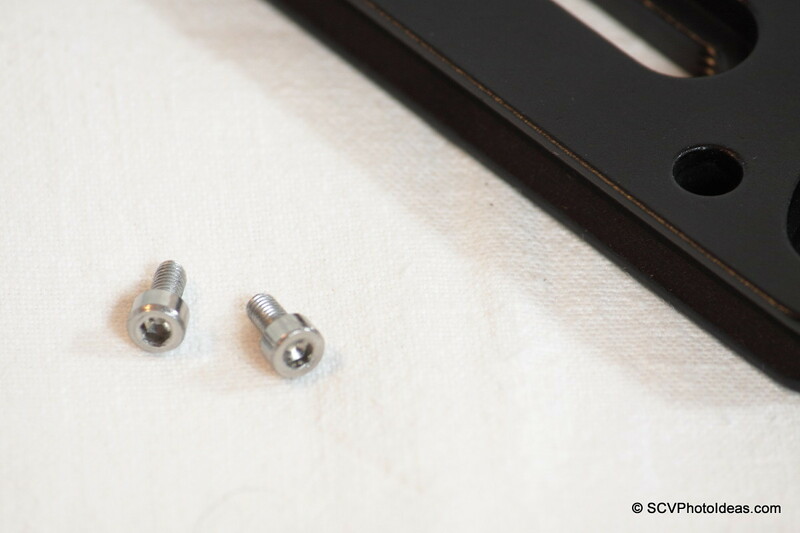 Hejnar Photo Index Bars with soft tipped screws and Allen hex key. This proves a covenient solution for marking the exact nodal point for the lens in use for future reference. 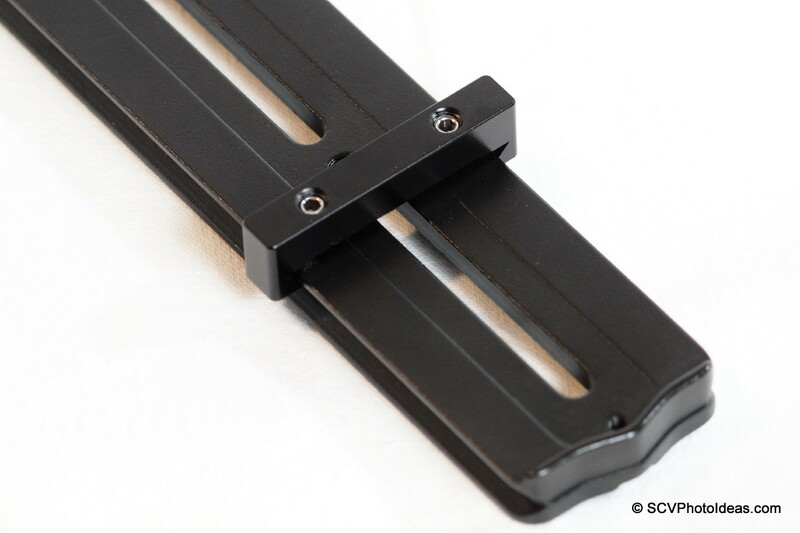 The index bar should be attached before securing the clapmp, since the rail's ridge will not permit it afterwards. 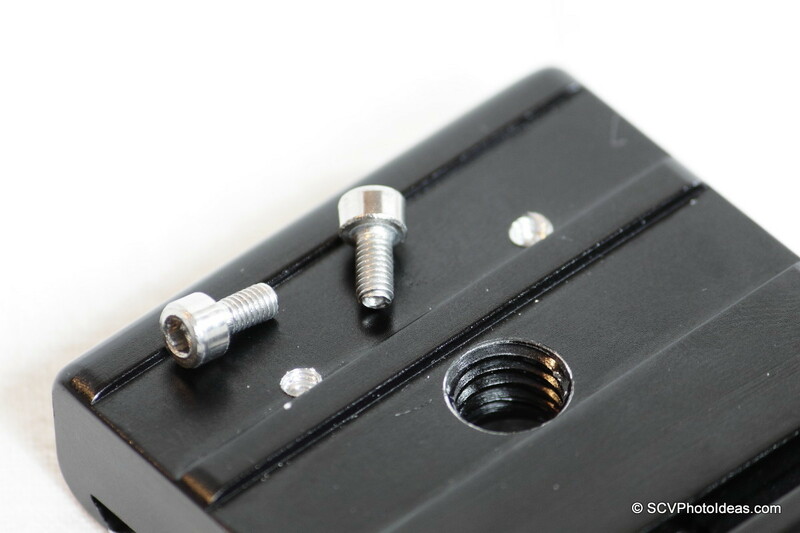 Index bar attached on the top dovetail and secured by the soft tip screws. 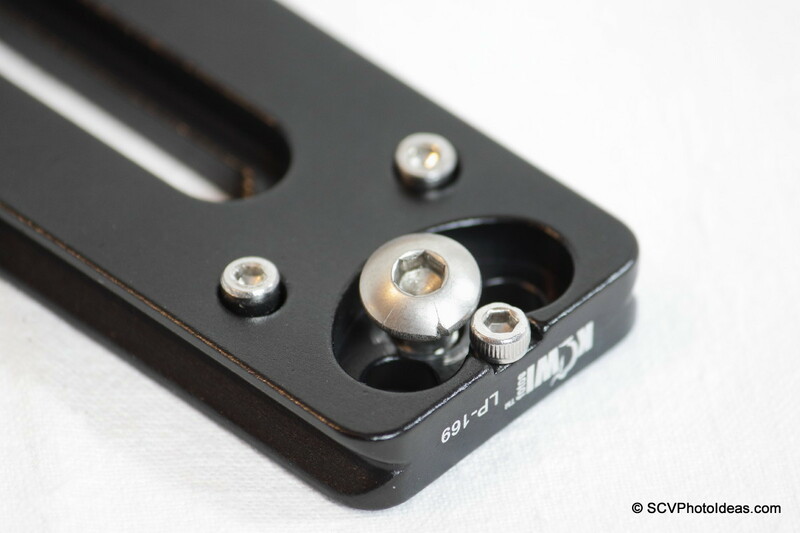 Next, the Quick Release clamp should be tightened on the rail with one 1/4"-20 captive screw through the center hole. 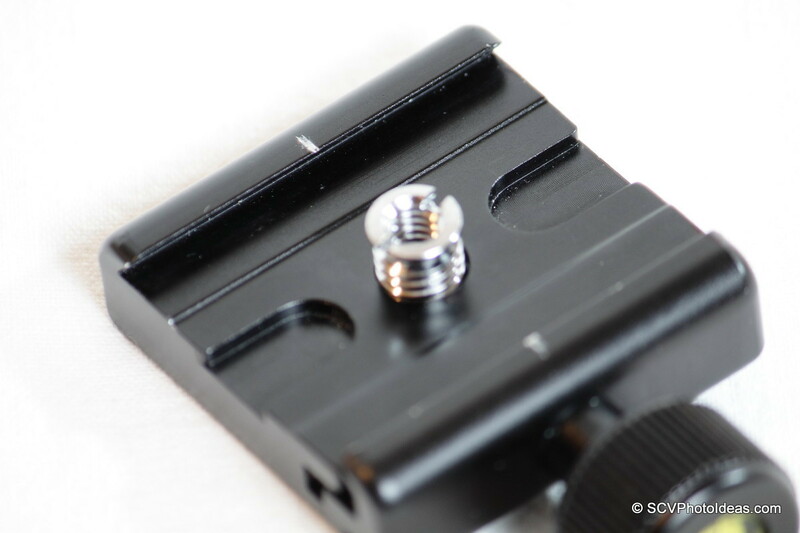 And secured in place with two M3 screws in order to avoid twisting. Final inspection confirming that the bushing has not loosened. 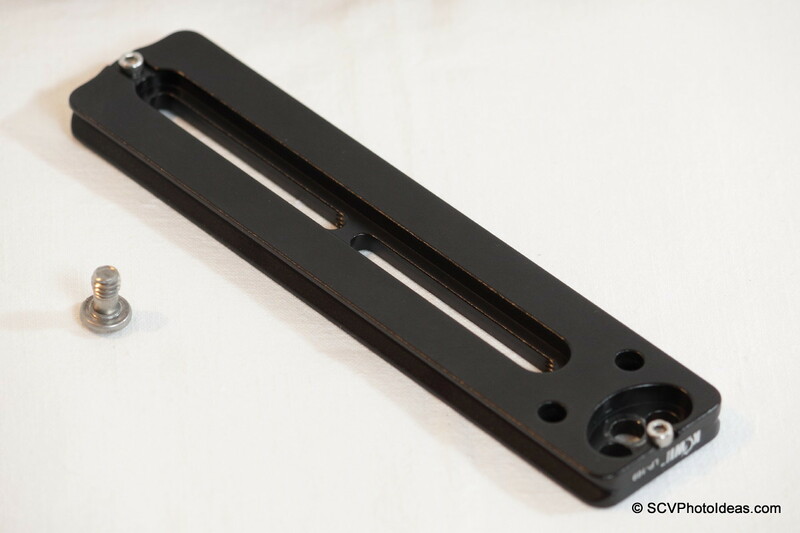 This Nodal Rail was based on different parts gathered from eBay with a fraction of the cost of products of similar quality and function. 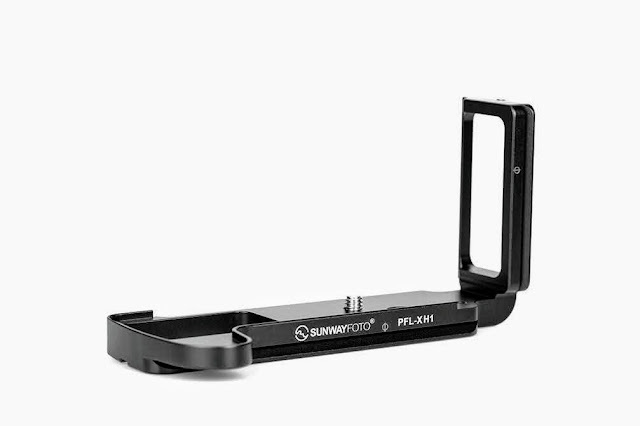 Was tested in various set ups and proved rigid and stable. 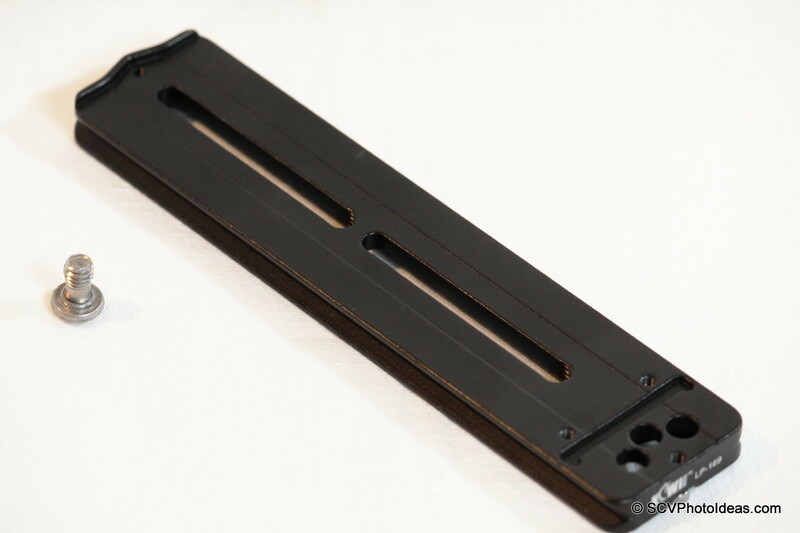 and as a Macro Slide Rail. 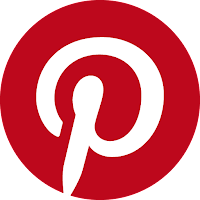 I hope you found the article helpful, thank you for viewing. This is pretty awesome, thanks for taking the time to put it together. Thank you for your comment, it's a pleasure that you find it useful.